Anson Funds is a privately held alternative asset management company, founded in 2003 with offices in Dallas and Toronto. 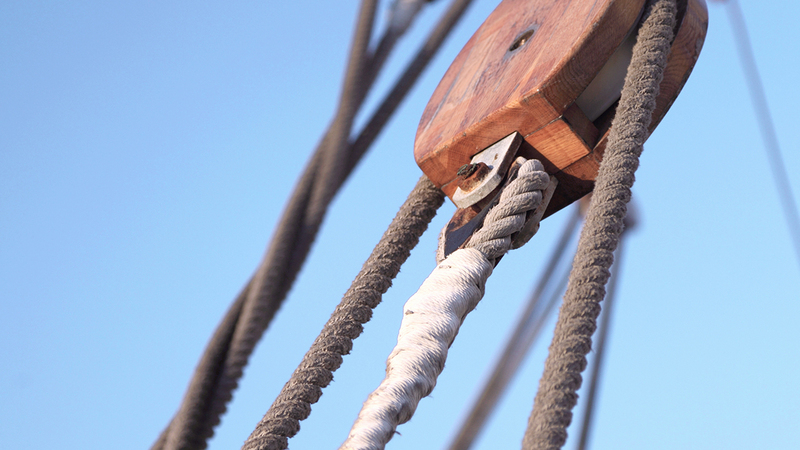 We prioritize net of fees performance with low volatility of returns, and low correlations to broad market indexes. 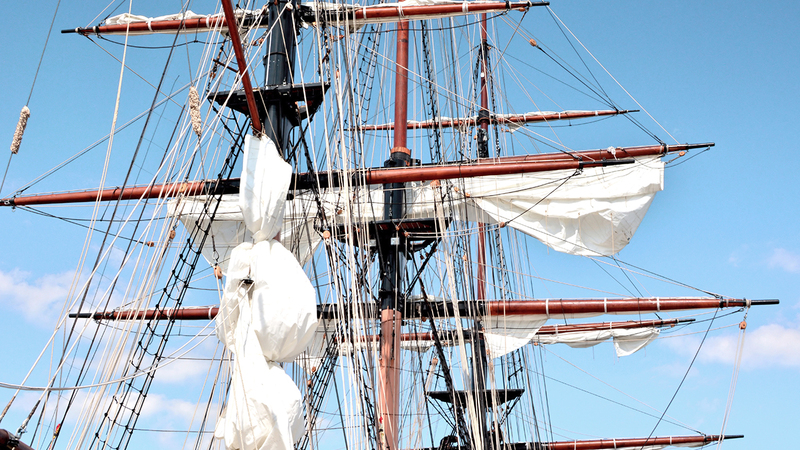 Anson Investments Master Fund (AIMF) is our flagship fund, where we deploy all three of our investment strategies. 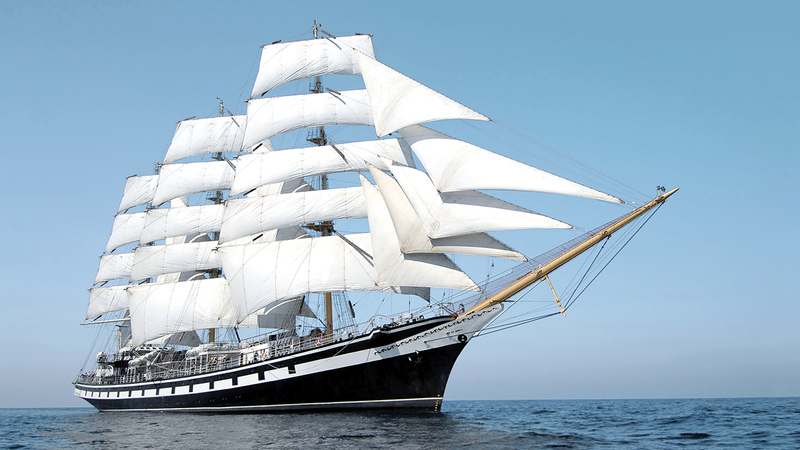 Anson Catalyst Master Fund (ACMF) is a niche fund with a Canadian bias that is comprised of high-conviction positions with a short to medium-term time horizon. Arch Absolute Return Real Estate Fund (Arch) is a portfolio of publicly traded real estate companies that seeks to generate consistent income while preserving capital, and generating returns not correlated with traditional asset classes. 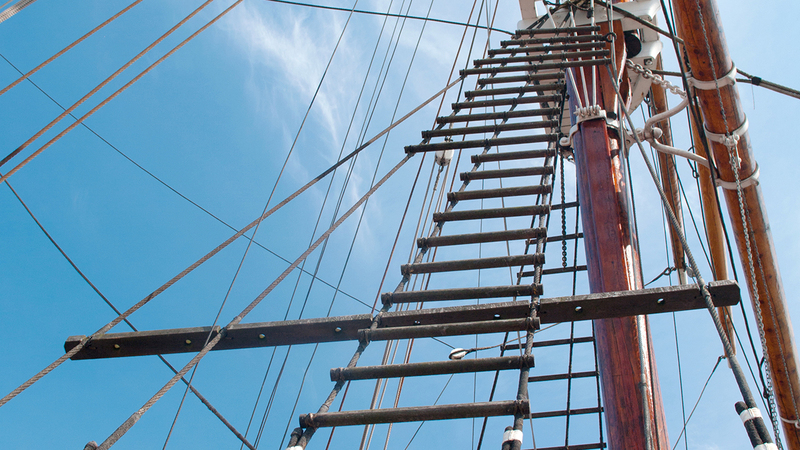 As a principal of Anson Funds, Bruce advises all alternative funds under management and is responsible for investment strategy, idea generation, trading, and overall investment performance. In January 2003, Bruce launched Anson’s first long-short short fund, Anson Capital. In July 2007, Bruce and Moez teamed up to launch Anson’s second fund, Saunders Capital. In December 2009, Anson Capital and Saunders Capital were combined into one fund, Anson Investments (AIMF), which is our flagship fund. 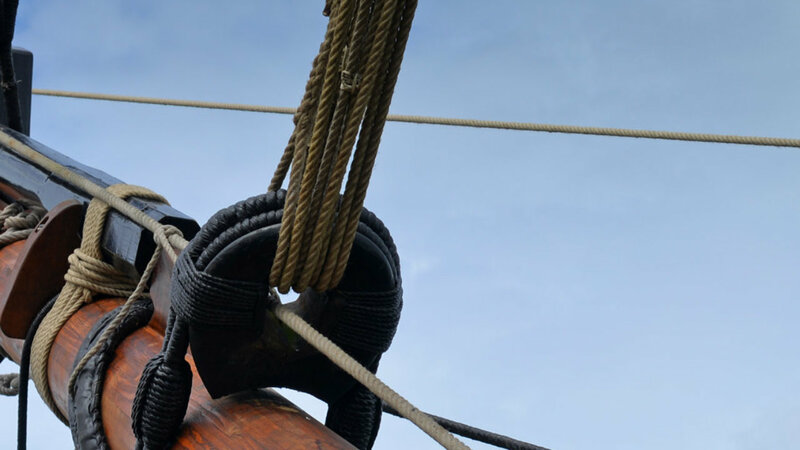 Prior to launching Anson Funds, Bruce worked as an equity analyst for over five years at Paragon Associates JV, a Dallas-based long-short equity fund. Before Paragon, Bruce worked in management consulting and systems consulting in the USA, Europe, and Singapore. Bruce holds an MBA from the University of Texas at Austin and a BA in Economics and Russian from Vanderbilt University. Bruce earned the CFA Charter in 2000. As a principal of Anson Funds, Moez advises all funds under management and is responsible for investment strategy, trading, and overall investment performance. In July 2007, Moez co-launched Saunders Capital Master Fund LP which was the predecessor to Anson Investments Master Fund LP. Prior to co-founding Anson Funds, Moez served as Principal at Cynique Investments. In 2018, Moez was named to Canada’s Top 40 Under 40 for extraordinary achievement in both business and philanthropy. Moez is an executive member of the Young Presidents Organization’s (YPO) Maple Leaf Chapter, where he serves as Education Officer. Moez also sits on the advisory boards of the Toronto Library Foundation and Immigrant Access Fund. Moez holds an MBA from London Business School and a BA from the University of Western Ontario. As a principal of Anson Funds, Amin advises all funds under management and is responsible for investment strategy, trading, and overall investment performance. 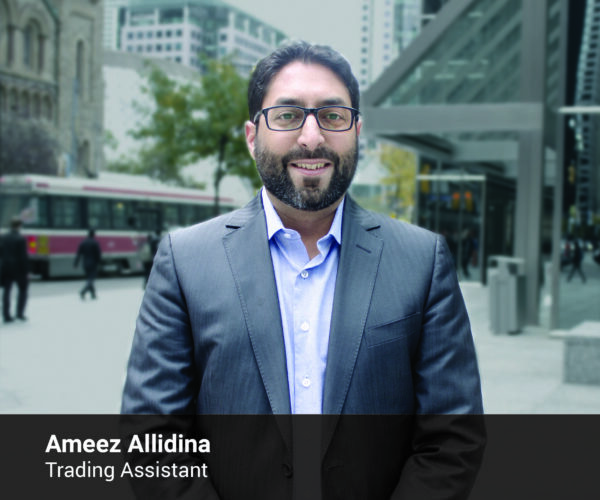 Prior to commencing his employment with Anson Funds in January 2012, Amin worked as an equity research analyst at TD Asset Management. Prior to TD, Amin worked at Deloitte Consulting. Amin earned a Master of Business Administration with an emphasis on Finance from the Rotman School of Management at the University of Toronto, and a BMath, Computer Science from the University of Waterloo. Amin is also a CFA Charterholder. 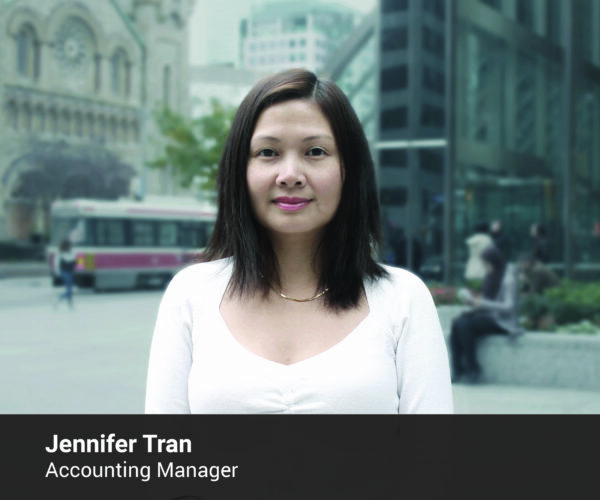 Sunny has been with Anson Funds since April 2013, and is involved in all aspects of the investment process. 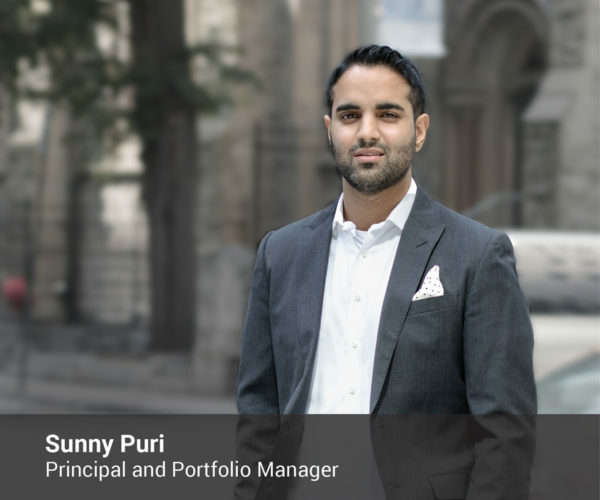 Prior to joining Anson Funds, Sunny was an associate at RBC Capital Markets in Toronto, Ontario, Canada and Sydney, Australia between 2010 and 2012. Sunny was also a Senior Associate at PricewaterhouseCoopers from 2007 to 2010. Sunny graduated 2007 from the Schulich School of Business at York University, with a Bachelors of Business Administration (Honors) in Accounting and Finance, and is a Chartered Accountant (CPA CA) in Canada. 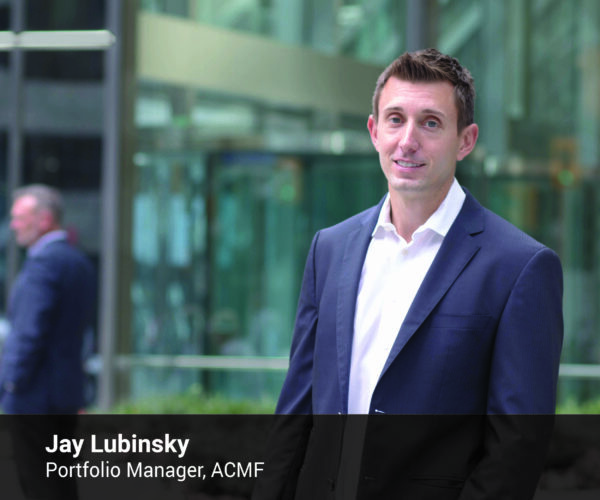 Jay joined Anson Funds in mid-2012 to help launch a new fund, ACMF. Jay mainly advises ACMF, responsible for investment strategy, idea generation, trading, and overall investment performance.Prior to joining Anson Funds, Jay worked at Toronto-based West Face Capital from January 2008 through May 2012. 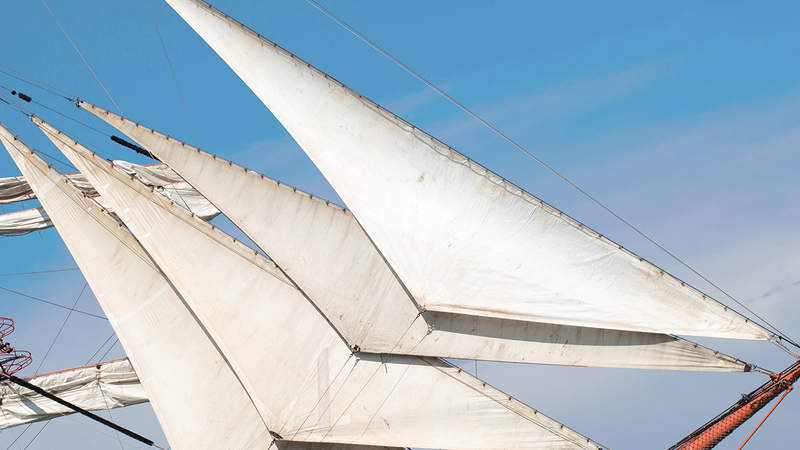 West Face is one of Canada’s largest hedge funds, specializing in restructurings, high-yield debt, risk arbitrage, privately negotiated financings, and special situation equities. Prior to joining West Face, Jay worked in New York as an analyst at Goldman Sachs, & Co. in the investment banking division, from late 2005 to late 2007. At Goldman Sachs, Jay specialized in leveraged finance, mergers and acquisitions, and municipal derivatives and finance. Jay graduated from the University of Western Ontario in 2004 with a Bachelor’s Degree in Chemical and Biochemical Engineering. 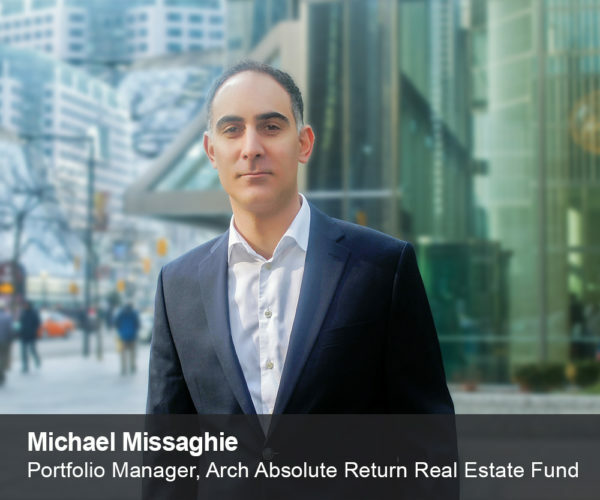 Michael Missaghie is the Portfolio Manager responsible for all aspects of the investment process for Arch Absolute Return Real Estate Fund. He was previously Vice-President and Senior Portfolio Manager with Sentry Investments, responsible for managing more than $1 billion of global real estate equities, and lead manager of the Sentry Global REIT Fund, Canada’s largest dedicated global real estate mutual fund. Michael has numerous management contacts in the real estate sector and an intimate knowledge of the assets and capital structures underpinning global real estate equities. During his career he has supported many successful public REIT investments early in their life cycles with capital and structuring guidance. In 2012, Michael was awarded the Brendan Wood International TopGun Investment Mind Award, which is awarded to those with the best grasp of the industries in which they invest. Michael has a Bachelor of Arts with Honours in Economics from the University of Western Ontario and an MBA from York University’s Schulich School of Business. He also holds the Chartered Financial Analyst (CFA) designation. Taheer has been with Anson since 2016, primarily focused on North American small-cap equities, special situations and thematic investing. Prior to joining Anson, Taheer worked as an investment banker for BMO Capital Markets in their Global Metals & Mining group. Taheer graduated from McGill University in 2013 with a bachelor’s degree in Economics and Finance. Ali has been with Anson Funds since early 2017, and is primarily focused on long/short fundamental and special situations opportunities. 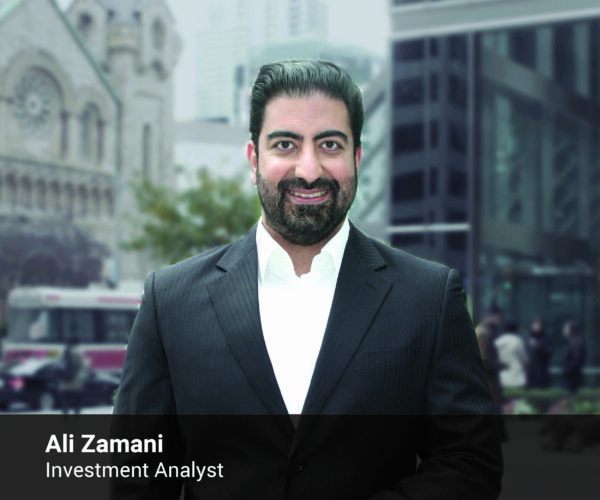 Prior to joining Anson, Ali was as an investment banker at BMO Capital Markets, Edgecrest Capital and iA Securities. Ali graduated from University of Toronto with a Master of Financial Economics and holds MA (Economics), BA (Economics) and BSc (Biology) degrees in addition to completing the three levels of the CFA exam. 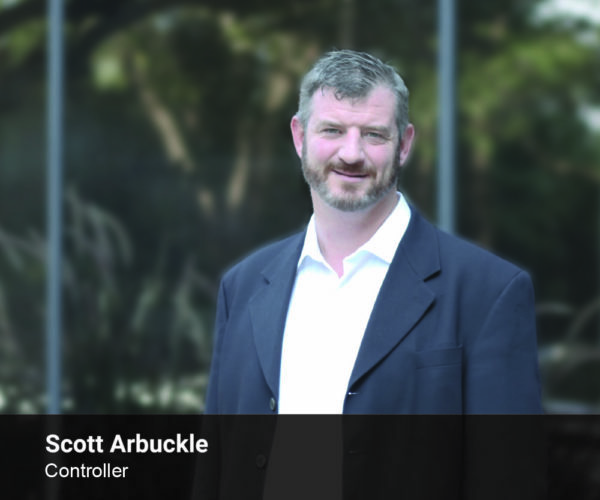 Tony has been with Anson Funds since January 2013, and is responsible for middle and back office operations. 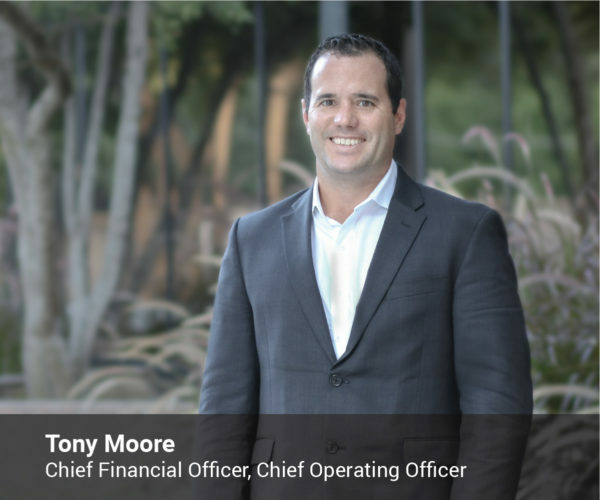 Prior to joining Anson Funds, Tony was Director of Finance at Alpha Financial Technologies LLC from 2010 to 2012. Previously, he was an Audit Manager at Deloitte, joining the firm in 2005 and leaving in 2010. Tony graduated in December 2004 from the University of Oklahoma, with BBAs in Finance and Accounting, and a Master of Accountancy. Tony earned the CPA License in 2006 and the CFA Charter in 2014. David is Founder and Executive Chairman of K2 Pure Solutions which manufactures water purification and disinfection products using safe, environmentally sustainable technology. K2 Pure Solutions helps provide an answer to eliminating the need to transport chlorine for water purification and disinfection, as well as other industries, by deploying a North American wide network of state-of-the-art facilities utilizing inherently safe technology. In 1995, David acquired controlling interest in a single Household cleaners plant called KIK Corporation and turned it into North America’s largest manufacturer of retailer and National brand consumer products in the household, personal care and over-the-counter drug categories, producing leading National brand products for several Fortune 500 companies as well as retailer brand products for the World’s largest retailers. Under his leadership, the company expanded from 1 to 23 manufacturing facilities, employing 4,000 people and sales climbed from $16 million to over $1.3 billion in 12 years. 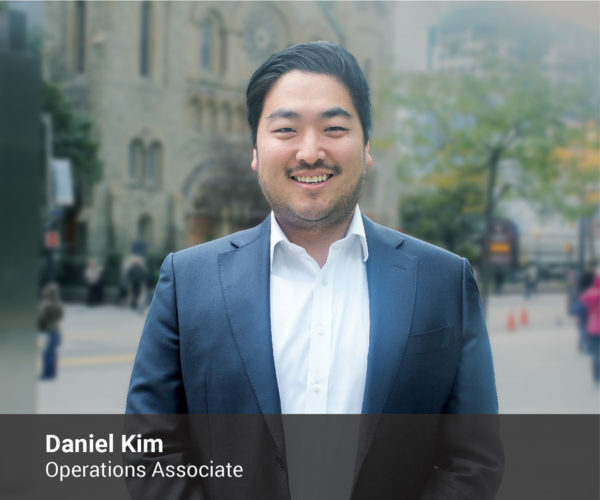 KIK was twice recognized as one of Canada’s 50 Best Managed Companies and in 2002, David led the company through one of the year’s largest and most successful Income Fund public offerings, forming KCP Income Fund. In 2001, David was recognized as one of Canada’s Top 40 under 40 by The Globe and Mail’s Report on Business magazine and in 2002 he was awarded the Ernst & Young Entrepreneur of the Year Award for the Canadian manufacturing sector. In May 2007 David led the sale of KCP (KIK) for $804 million. Later that year he was honored by the B’nai Brith Foundation with its Annual Award of Merit. In January 2013 Prime Minister Stephen Harper awarded David the Queen Elizabeth II Diamond Jubilee medal, a commemorative medal created to mark the 60th anniversary of the accession to the thrones of Queen Elizabeth II and serves to honor significant contributions and achievements made by Canadians. David is also a partner of METROPIA, one of Canada’s leading residential real estate development companies, as well as a partner in Liberty Entertainment Group, a developer and marketer of numerous landmark establishments and restaurants in North America. Prashant Pathak is CEO of Ekagrata Inc. a principal investment company and also Managing Partner of ReichmannHauer Capital Partners a private equity firm. He serves on the board of several companies and community institutions. He is an appointee of Government of Canada on the Board of BDC (Business Development Bank of Canada). He is also Chair of the Venture Capital and Investments Committee, for BDC Venture Capital, which is Canada’s largest VC program. Previously, Mr. Pathak has been a Partner of McKinsey & Company Inc. At McKinsey, he was a leader of the North American Telecom Practice, the Financial Services Practices and a leader in the Strategy & Corporate Finance Practice. He has advised several global corporations on a range of general management, strategy, M&A and operations issues across North America, Asia, Europe and South America. Prior to McKinsey, Mr. Pathak spent several years in the industry in management and field operations roles at Schlumberger and Halliburton. Mr. Pathak actively contributes to several community and not-profit institutions and causes. He was a director on the Board of the North York General Hospital in Toronto. He is an alumnus of the core team of Vartana and is a Charter Member of TiE (The Indus Entrepreneurs). Mr. Pathak is also a member of the Young Presidents’ Organization (YPO). Mr. Pathak has a MBA from INSEAD with Distinction and a B.Tech degree in Electrical Engineering from The Indian Institute of Technology (IIT).